Following discussions with her doctorate supervisor Dr. Beatrice Colin, Melissa Reid – Creative Writing PhD student at Strathclyde – decided it was time to fill the space that past student literary magazines had left vacant. Realising the potential of the University of Strathclyde’s writing talents across all disciplines, Reid worked with Colin and fellow PhD student/now, co-editor Stephen O’Shea to conceive Quotidian – Strathclyde’s exciting annual literary magazine. Quotidian – ‘the everyday’ – contains literature and poetry which explores the magic within normal day-to-day occurrences, all of which you can guarantee have been written and submitted by the very people you queue behind in the Union Starbucks. The team, also composed of student sub-editors, have recognized the university’s reputation as a business and engineering utopia, and are pleased that their publication enables them to try and engage with the wider writing community within Strathclyde and across Scotland. One year on from the launch of Quotidian print edition in Project Café last May, the team are ecstatic to release their eagerly anticipated second edition online in February; the print edition is set to be released in mid-Spring. With celebration at the forefront of everyone’s minds, the Strathclyde Telegraph caught up with Melissa to find out a little more about our university’s creative fetus. 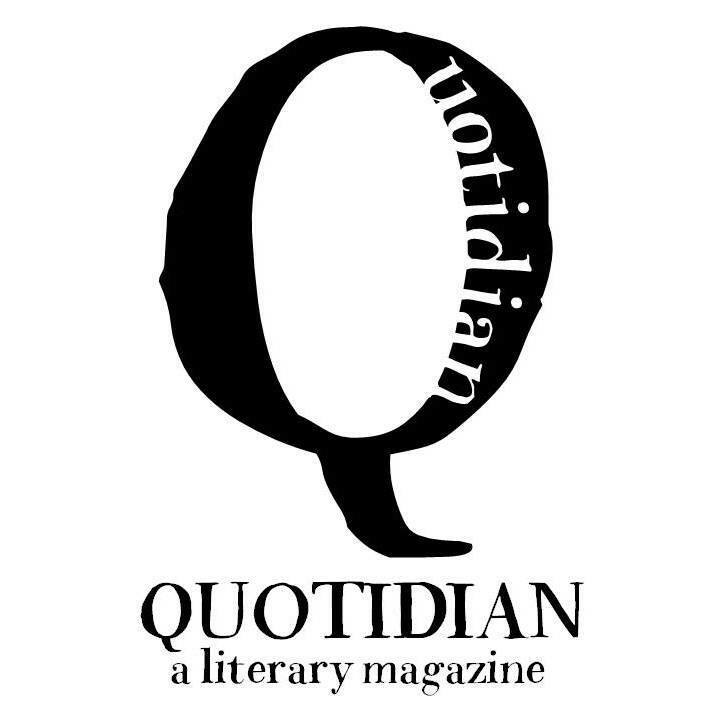 Quotidian is a literary magazine, built by students for students across Scotland. What inspired you to build a literary platform for undiscovered student writers? One motivation for creating the magazine was we wanted to show that there’s another side to Strathclyde and try to engage more with the wider writing community in Scotland. Also, like you say, we wanted to help create a platform for new writers as getting published in literary magazines can be an important stepping stone. I think something Stephen (my co-editor), Beatrice and I have also been quite clear on though is that we want to make something that is good for new writers while also being something other people (students or not) would actually enjoy to read and look at. So we try and keep the idea of ‘the reader’ at the forefront of what we do. ‘Quotidian’, by definition, equates ‘the everyday.’ What do you find so intriguing or satisfying about writing based upon normal, day-to-day encounters? It’s just a fact that, for the most part, our lives are made up of small moments, small details. Yes, big dramatic ‘literary theme’-type things are happening all the time – we fall in love, people we care for die, we harbor resentments, we get ill etc. – but the way we experience even those bigger things is through the way they impact the small (seemingly) ordinary details of our lives. In real life, people don’t tend to say things very directly (‘I love you’, ‘I’m annoyed at you,’ ‘I’m scared’, ‘I’m sorry’ etc.). Usually, they skirt round the surface of things, and you have to pick up how they’re feeling through the way they act, or respond to the smaller things. So, for example, a story about a couple arguing about who left dirty socks on the bedroom floor is more interesting to me than one about that same couple directly telling each other: ‘I don’t think we should be together anymore’ or ‘I don’t think I love you’. Because the sock-story is more real, it’s also more absurd. And life is a bit absurd at times, I think. It’s serious and sad and beautiful and horrible and surprising and wonderful and bizarre all at the same time. And there’s just something about stories or poems that focus in on the minutia of everyday life that captures some of that. Word on the street tells me that, in your fourth year, you wrote your entire Creative Writing dissertation around the subject of sandwiches – using food (perhaps the most common day-to-day encounter) as a way of conveying a deeper understanding of your characters. What advice would you give to someone struggling to write about the concept of ‘the everyday’? Ha, yes I did. Like I said earlier, you can still write about big things but try to find a more interesting way into them. My advice would be: keep a journal/notebook where you make notes about everything. Your anxieties, conversations you overhear, the way your friend’s lips were stained orange when she ate Heinz tomato soup but no one pointed it out. Pay attention to your life while you’re living it, and then write what you notice down. Not all of it will be ‘meaty’ enough to build a story around. But some of it will be. Writing about the ‘everyday’ doesn’t mean: write dull stories or poems where nothing happens. In fact, Stephen and I were trying to explain the theme of ‘the everyday’ to someone last year and the guy rolled his eyes and cut us off saying something like, ‘So you’re looking for boring stories then?’ (Or words to that effect), which is completely not what we’re looking for. Though I understand it’s a kind of subtle distinction. Writing a story about a sandwich would be boring. Writing a story about a woman who’s at the end of her tether and having doubts about her marriage and then eats a horrible sandwich which pushes her over the edge (hopefully) isn’t. Because the sandwich isn’t what the story is about. It’s just the ‘narrative focus’ – a way in to telling the bigger story. Some of my personal favourite pieces in the previous edition of the magazine were written in Scots dialect. How important is it to Quotidian that the magazine represents its demographic? Those pieces (Traveling Alone by Loren Lappin and Dancin’ by Ross Sayers) were brilliant. They had a real sense of personality about them. And yes, we definitely think it is important to include all kinds of voices in the magazine, not just ‘RP’ or so-called ‘Standard English’. In the end though, it all comes down to what submissions we get and the quality of the writing. Sadly, there weren’t a great deal of Scots submissions this year, so that kind of voice isn’t going to be featuring so much in Issue 2. Which is a shame. But I think there are a number of other things about this next issue that are different and exciting in a good way. Where do you hope Quotidian will be in 10-years-time? Posted in Features and tagged editor, features, Interview, quotidian. Bookmark the permalink.